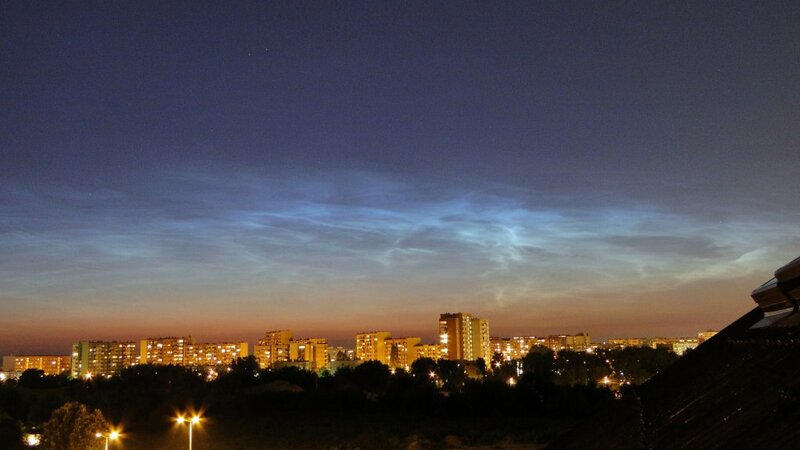 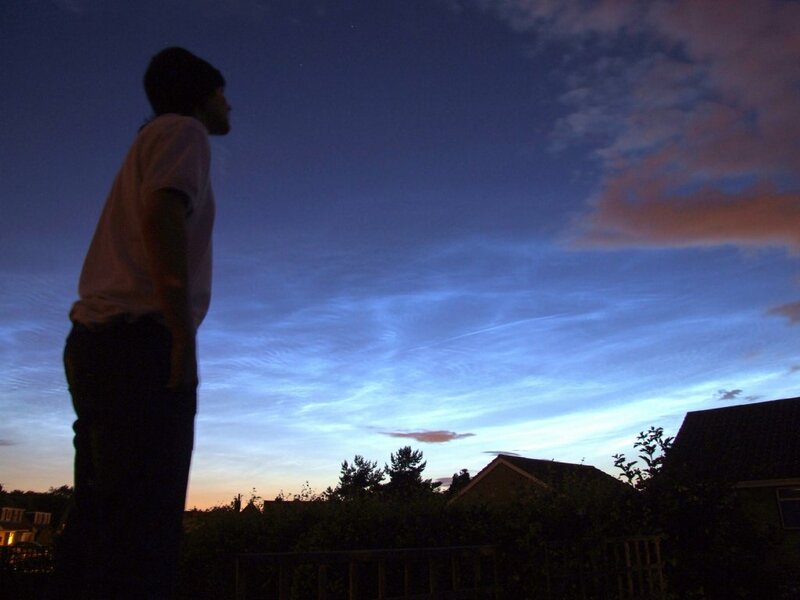 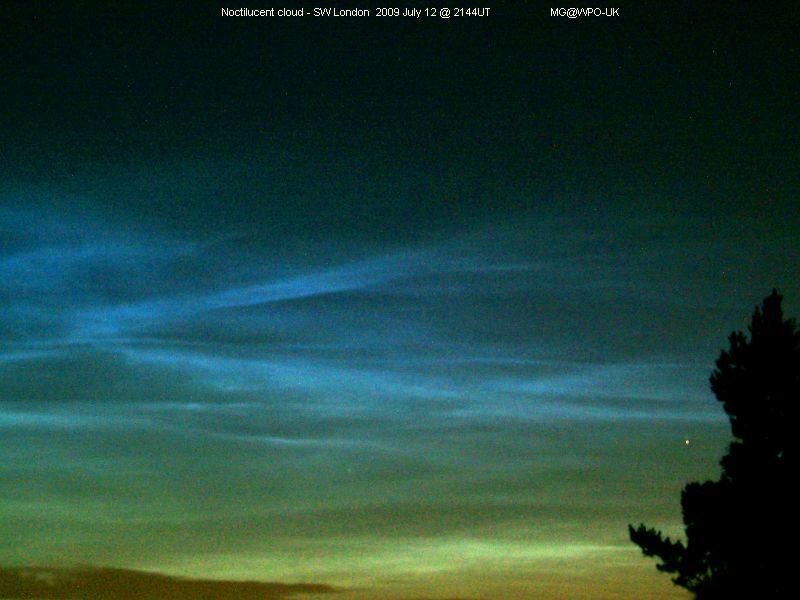 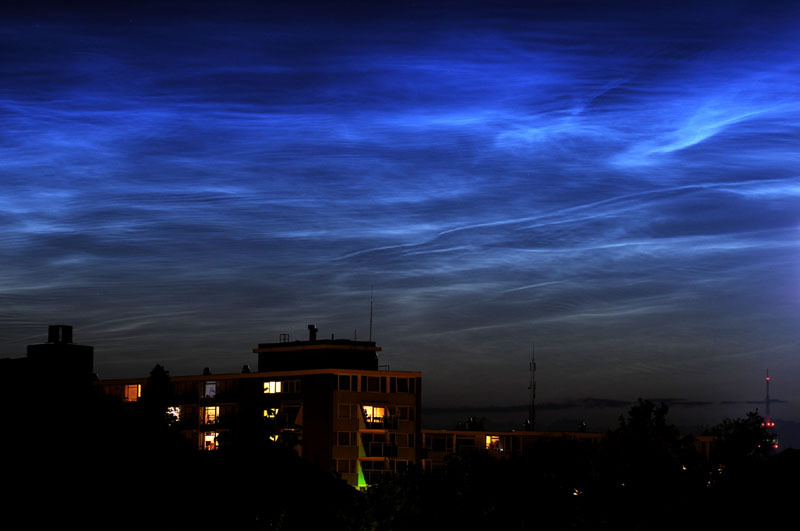 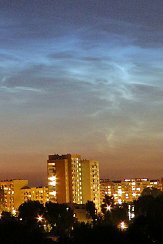 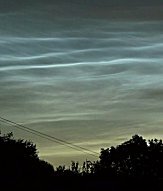 Very bright Noctilucent Cloud display around midnight. 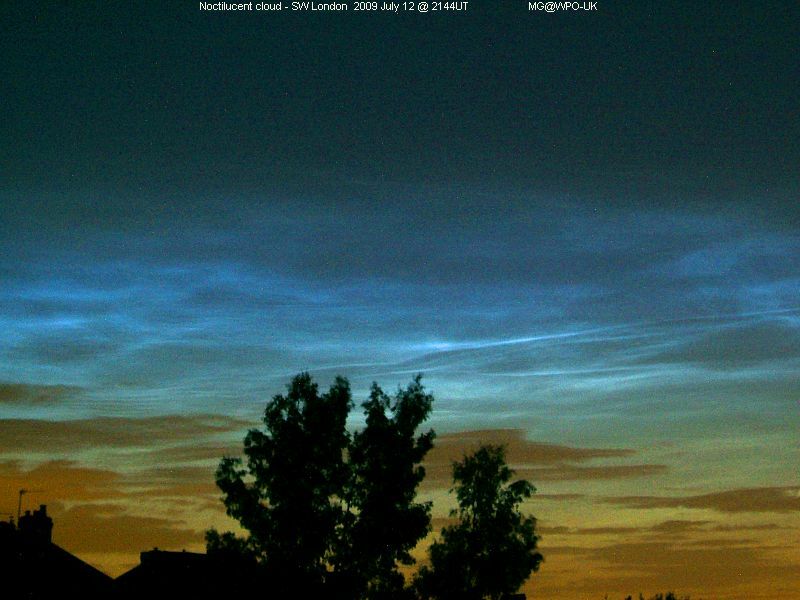 One of the best this summer! 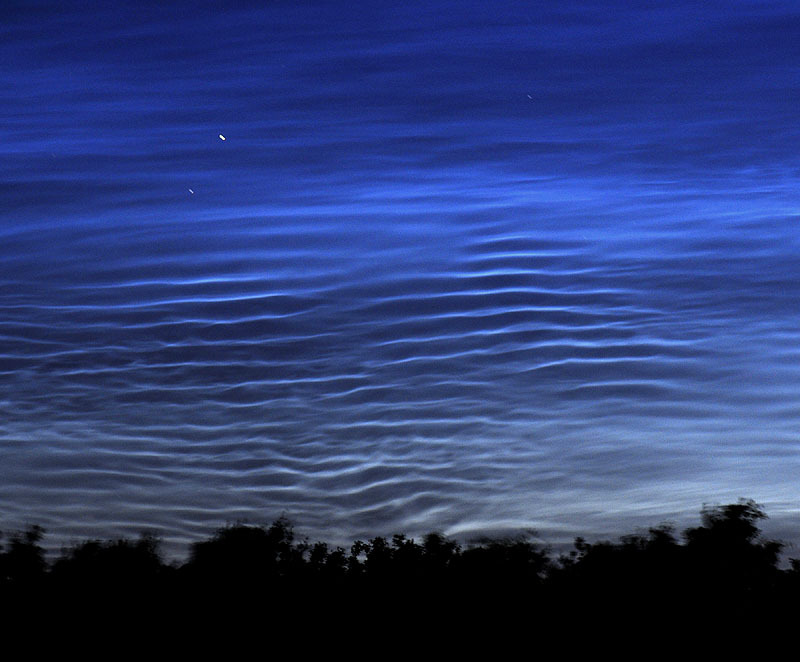 A beautiful blue ripple-structure like the skin of a Great Blue Whale! 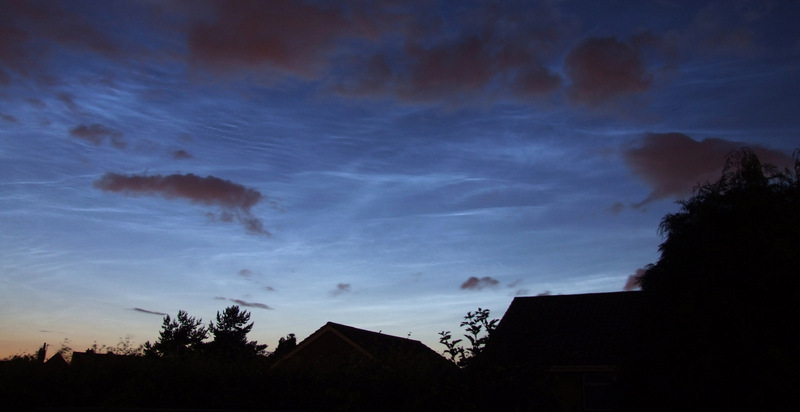 Pictures with Nikon D300 and wide angle / telephoto lenses. 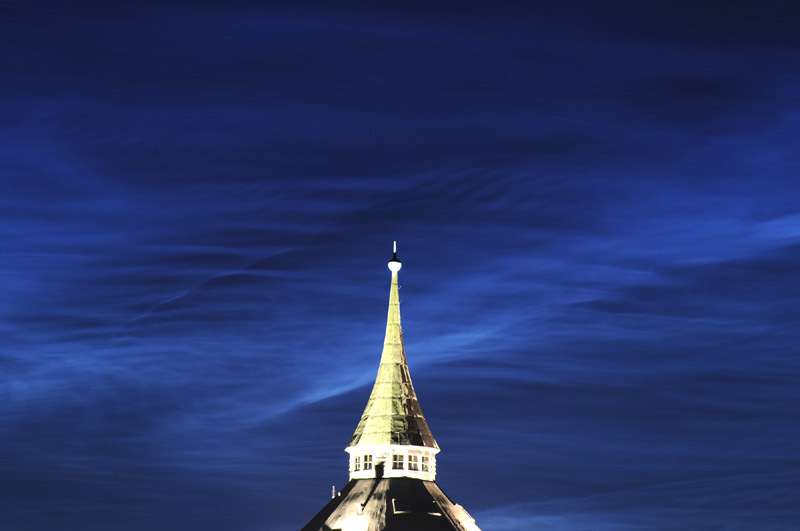 I used a 200 mm lens to catch the structures in detail. 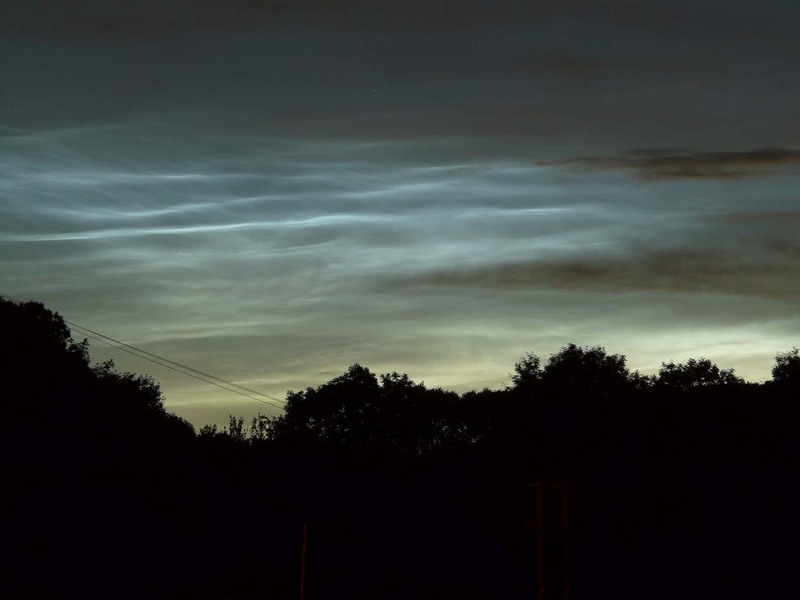 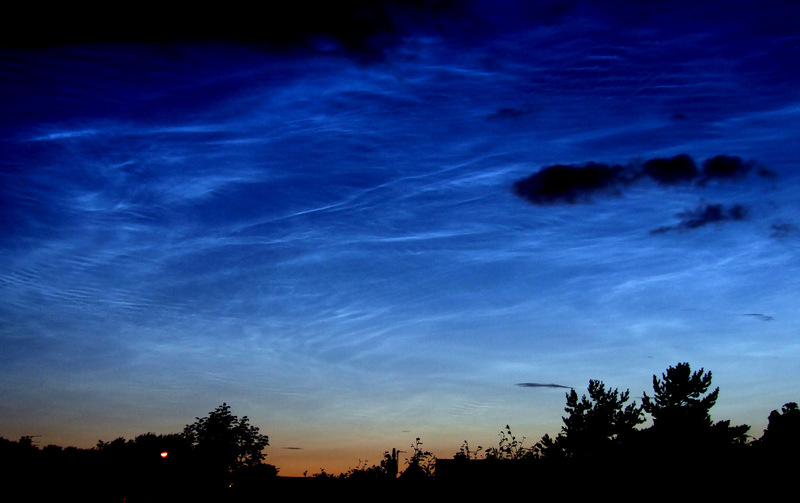 We had a fantastic NLC diplay over the UK on the 12th July. 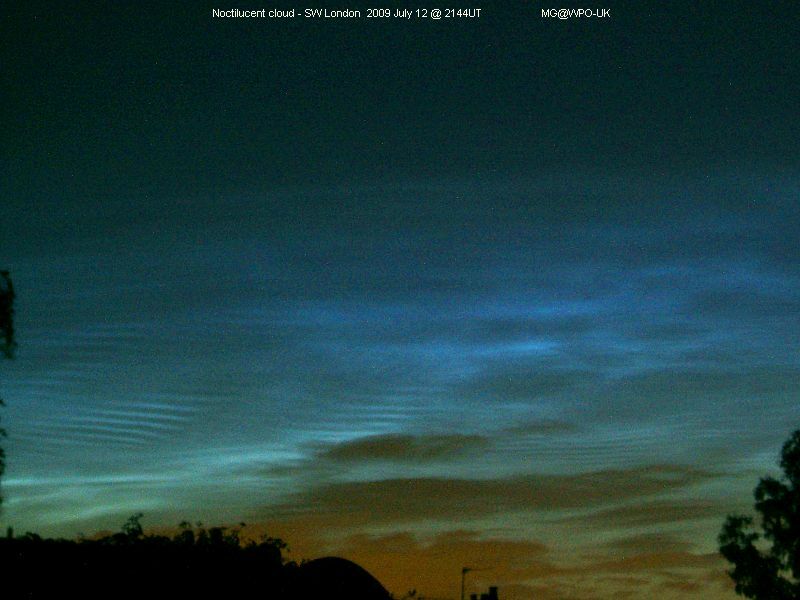 Almost a third of the sky was filled with amazing swirls, ripples and bands of blue and gold. 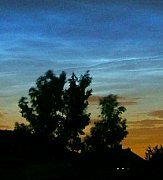 After a gap of 3 weeks a brilliant display of noctilucent cloud seen at dusk tonight from my backyard. 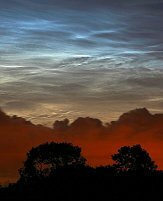 Some more pictures from just after sunset tonight here in Liverpool,The sun was just about to set (the sun had not set at this time) when the first white ripples started to show in the western sky. 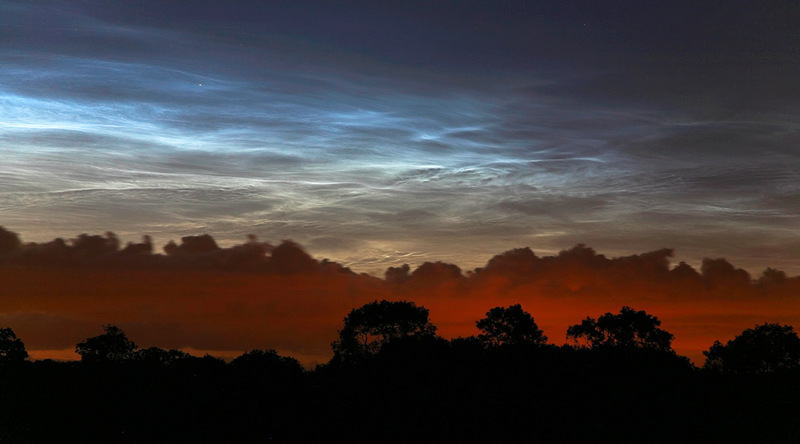 I happened to look out about 3 hours after sunset and was greeted by a magnificent display of NLCs. 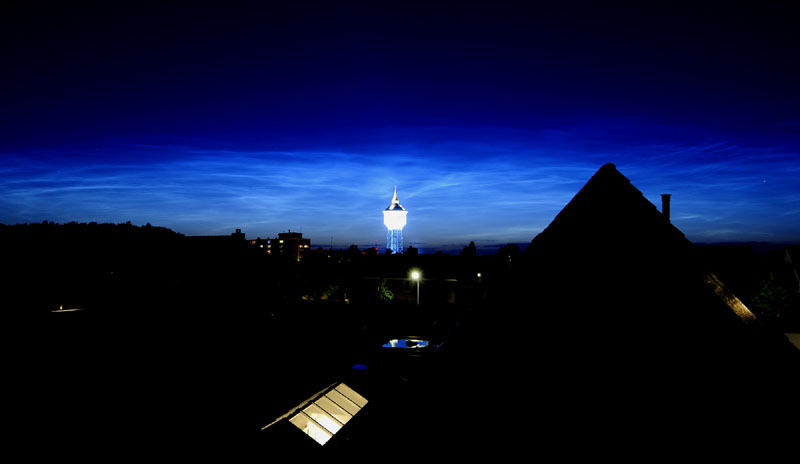 The colours were a vivid electric blue - shimmering over the horizon. 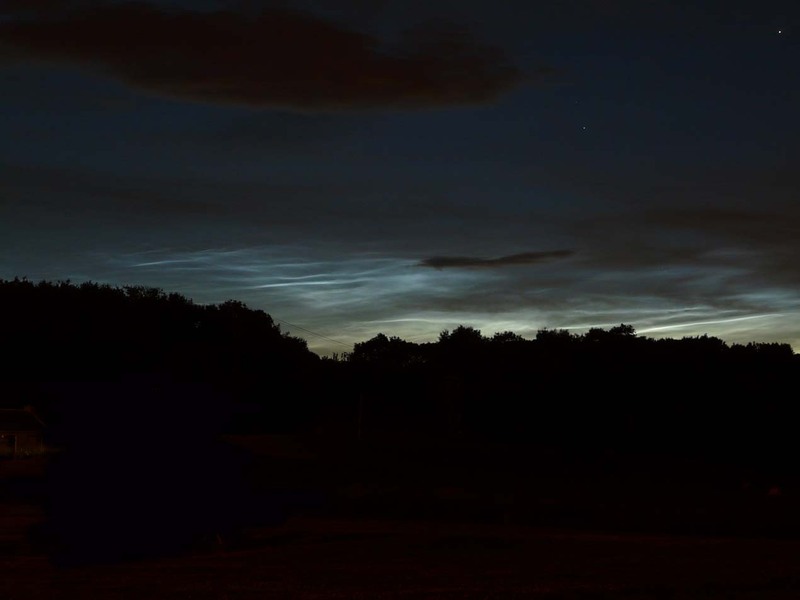 this is probably the first time I've seen NLC's and were very impressive!